'Game Of Thrones' Season 3 Recap: 5 Badass Moments From Catelyn Stark in "Game Of Thrones"
SPOILERS: IF YOU HAVEN&apos;T WATCHED GAME OF THRONES&apos;S LATEST EPISODE (SEASON THREE, EPISODE NINE) EXIT THIS ARTICLE. So, we should talk about Catelyn Stark. Everyone is like, oh no, Robb died, but does he really matter? Sure, he was a king, but obviously Mama Stark was the true badass. Let’s collectively remember her bravery and brashness. Leave your favorite Catelyn moments in the comments! Okay, so this may not seem badass, but let&apos;s put it in context. Her betrothed, Ned&apos;s older brother, had just died, and her father shipped her off to the frigid and inhospitable North to marry a reticent stoic who also had fathered a son with another woman while they were promised. 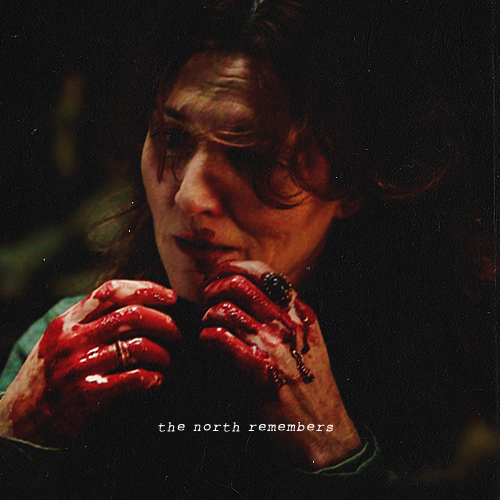 But Catelyn managed to work all of this out with her husband and truly love both him and the North. Badass. After she learns her son Bran, now handicapped after being thrown out of a tower by the incestuous older Lannister siblings, was almost assassinated using Tyrion Lannister&apos;s dagger, she abducts the youngest Lannister in an inn. Her speech urging her husband&apos;s bannermen to her cause and to arrest one of the most powerful men in the realm is commanding and yes, badass. Robb is gallant and young and needs his street smart mom to keep him grounded. Unfortunately, he doesn&apos;t always listen. The counsel she gives is always on point. The above is almost painful in hindsight. And even though she may not have a 100% follow rate, she is near-perfect in her intellect and insight. How many other characters in this ridiculous show can say that? B.A.D.A.S.S. Are we all still processing these feels? Even people who have read the books were horrified with the onscreen rendition (acted brilliantly by Michelle Fairley, by the way). Catelyn believes she has lost everything and makes her last plea to save her son by threatening Lord Frey’s wife. Bolton stabs Robb, Catelyn utters her wrenching yell and slits her hostage&apos;s throat. This is it for her. She believes all of her children (save Sansa) are dead and she doesn&apos;t have a reason to live. The look on her face shows us that this is a mercy.